Q1. What was the cause of insurance investigator Mike Longstreet's (actor James Franciscus) blindness on the 70's TV series Longstreet? Q2. What was the name of the 1969 Elvis Presley movie that sparky actress Marlyn Mason co-starred in, before landing the role of Longstreet's assistant? Longstreet (1971-1972) debuted as an ABC 90-minute television movie of the week. Main character Mike Longstreet was based mystery novelist Baynard Kendrick's fictional blind private investigator Duncan Maclain, who was helped in solving crimes by his human assistants and two German Shepherd guide dogs. Kendrick had been inspired by a blind English soldier he met while serving with the Canadian Army in Europe during World War I; he was amazed when the soldier accurately stated Kendrick's war service record after touching his buttons, uniform and insignia. During World War II, Kendrick worked as an instructor for blinded veterans and garnered more material to create his blind detective character. Baynard Kendrick was an octogenarian senior citizen when he died in March 1977. Longstreet lead actor James Franciscus had been been acting steadily on television since 1957 and appeared in 12 big-screen movies before Longstreet began in 1971. In addition to playing the leading role of a teacher in the TV show Mr. Novak (1963-1965), James Franciscus had played a detective in both the Naked City (1958-1959), and The Investigators (1961). James Franciscus' first starring role in the movies was in Youngblood Hawke (1964) opposite Suzanne Pleshette. In the astronaut movie Marooned (1965), his co-stars included Gregory Peck, David Janssen and Gene Hackman. Baby boomers may remember James Franciscus best from his role in the second Planet of the Apes movie, Beneath the Planet of the Apes (1970) with co-star Charlton Heston. Below, James Franciscus and Linda Harrison in a publicity photo for Beneath the Planet of the Apes. 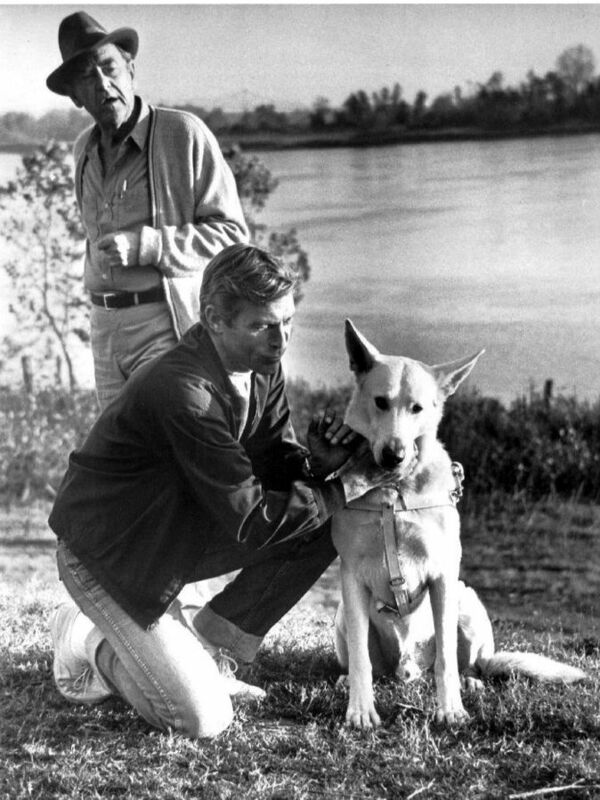 Below from left, John McIntire as a counselor Dr. Dan Stockton, with James Franciscus on Longstreet in 1971 with guide dog Pax. 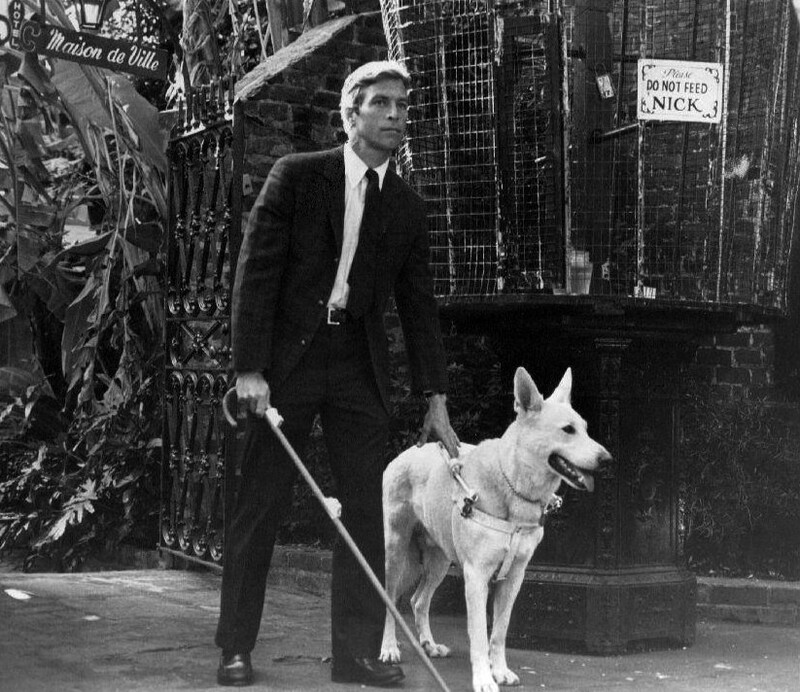 Co-incidentally, James Franciscus' last movie before filming on Longstreet began was that of a reporter investigating a break-in witnessed by a blind man, played by actor Karl Malden in The Cat o' Nine Tails (1971). On Longstreet, Franciscus' character learns to read Braille and in addition to developing his other senses, has a seeing-eye dog (Pax) and a cane with electronic sensors that helped him to calculate distance and navigate. Longstreet's Guide dog Pax was most likely played by several different white German Shepherds, all of whom were trained by Karl Lewis Miller for Longstreet. Longstreet also took martial arts lessons from Asian antique dealer Li Tsung, played by Bruce Lee in 4 episodes. After Longstreet ended, Franciscus continued to act in the movies and on television - starring as Dr. Ben Elliot in Doc Elliott (1973-1974) and as James Hunter in Hunter (1976-1977). When acting work was scarce he wrote screenplays and produced. 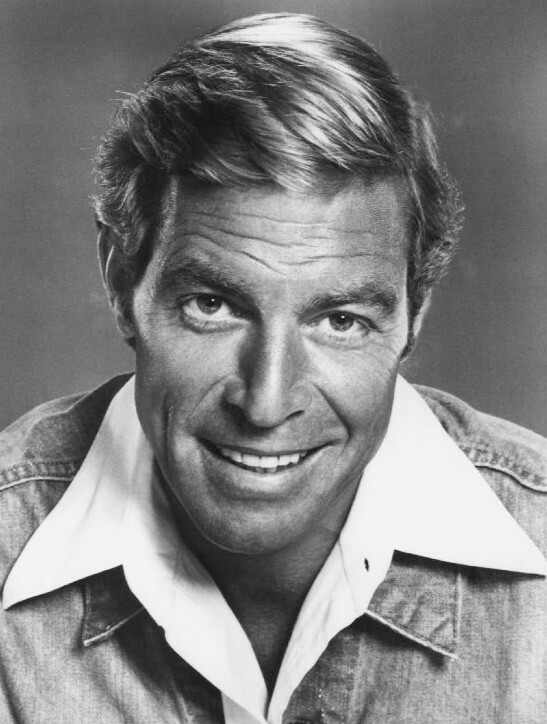 James Franciscus was a 57-year-old father of 4 when he died from emphysema in 1991. 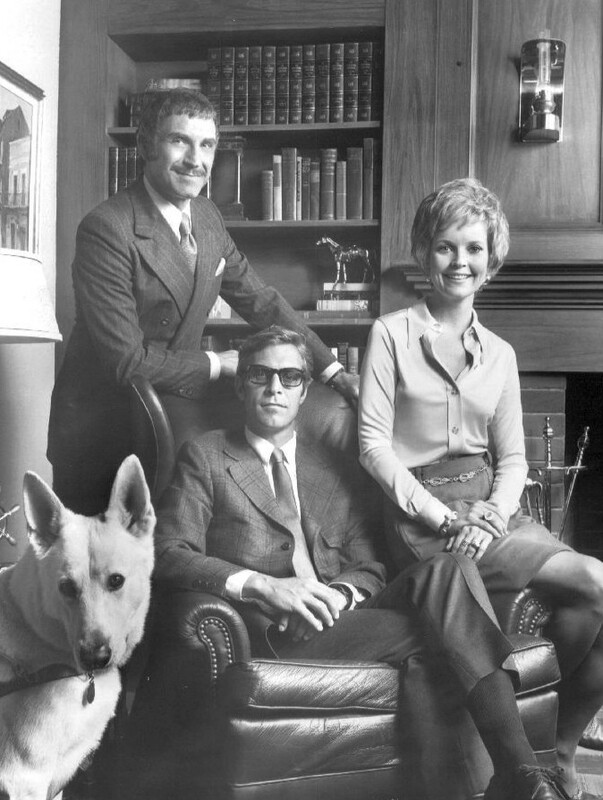 From left, guide dog Pax, Peter Mark Richman as Duke Paige, James Franciscus as Mike Longstreet, and Marlyn Mason as Nikki Bell on Longstreet. Before Peter Mark Richman played Longstreet's friend and insurance auditor Duke Paige, he'd appeared in hundreds of television episodes on different television series beginning in 1953 such as The Fugitive, The Man from U.N.C.L.E., Gunsmoke, Mannix, and The Virginian, and had starred as Nick Cain in his own series, Cain's Hundred (1961-1962). By the time Longstreet began in 1971, Richman was married and the father of five children with wife Helen Theodora Landess. Since Longstreet ended, Richman has continued to act steadily, mostly in on television on popular baby boomer series like McCloud, Barnaby Jones, Police Story, Baretta, and many others. In his 50+ years, Richman had starring roles in the television series Greatest Heroes of the Bible (1978-1979), Blind Ambition (1979), the daytime soap opera Santa Barbara (1984), nighttime soap opera Dynasty (1981-1984), and Defenders of the Earth (1986). Peter Mark Richman has worked steadily as a senior citizen, writing plays and acting. He was Lawrence Carson in Beverly Hills, 90210, and was an octogenarian senior in his most recent role as Senator Mitchell in the big-screen movie Mysteria (2011). Mike Longstreet's housekeeper Mrs. Kingston was portrayed by veteran silent-movie child actress and adult character actress Ann Doran. Doran was in her 60+ years when Longstreet began, and she already had hundreds of movie and episodic television credits to her name, thanks to having begun acting at age 4. 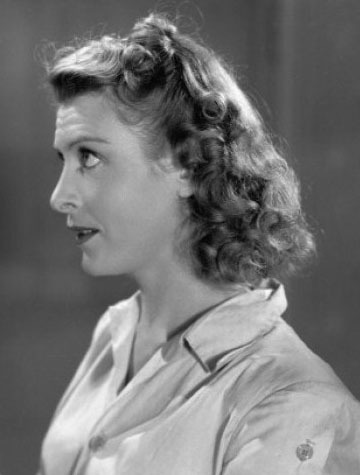 She was often cast as a mother in the movies and on television in her later years - Ann Doran was James Dean's mother in Rebel Without a Cause (1955), mother to Velvet Brown in the TV series National Velvet (1960-1962), and mother to Frank and Jesse James in The Legend of Jesse James TV series (1965-1966). Ann Doran was an 89-year-old octogenarian senior citizen living in a California senior citizens complex when she died in September 2000, having acquired more than 500 movie and 1000 television show credits. A1. A bomb hidden in a champagne bottle exploded, killing Longstreet's wife Ingrid and leaving him blind. A2. Now-septuagenarian and still working actress Marlyn Mason was Elvis Presley's young love interest in The Trouble With Girls (1969), a Chautauqua musical rom-com, below. (Photo: memphisflash.de).